Here’s your chance to check 2 things off your bucket list. 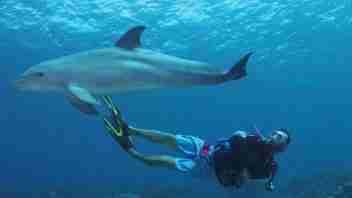 Experience Scuba diving while surrounded by dolphins in a protected lagoon! Start off with a PADI Discover Scuba Diving course that will teach you the basics of Scuba, and finish by learning about and intearacting with, bottlenose dolphins. A once in a lifetime experience! 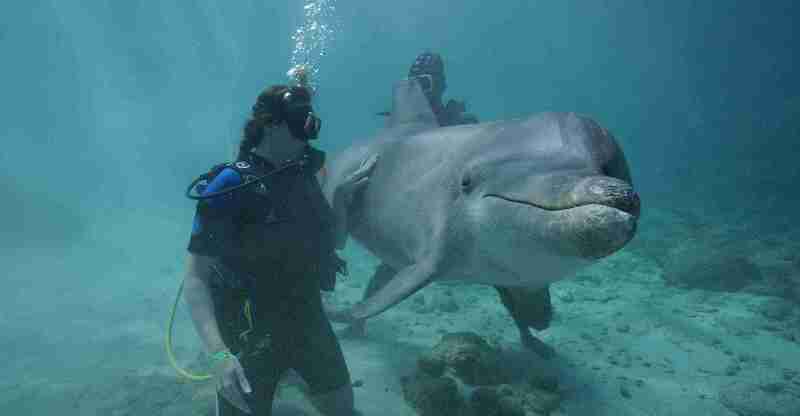 Scuba Dive with Dolphins. No Experience Necessary. This Dolphin Lagoon Dive is available on Wednesdays and Thursdays at 2:00 pm. No dive certification required. Theory session and skill practice will be done on a previous day. Check out our video to see what this once in a lifetime experience is all about. You have a Scuba license? Join us for the 'real thing' the Open Water Dolphin Dive. Entrance to Sea Aquarium Park on day of dive. 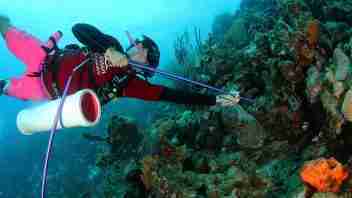 Include additional dive with theory and skills session for $99.